A rare and important Louis XVI clock by Cronier, Paris. 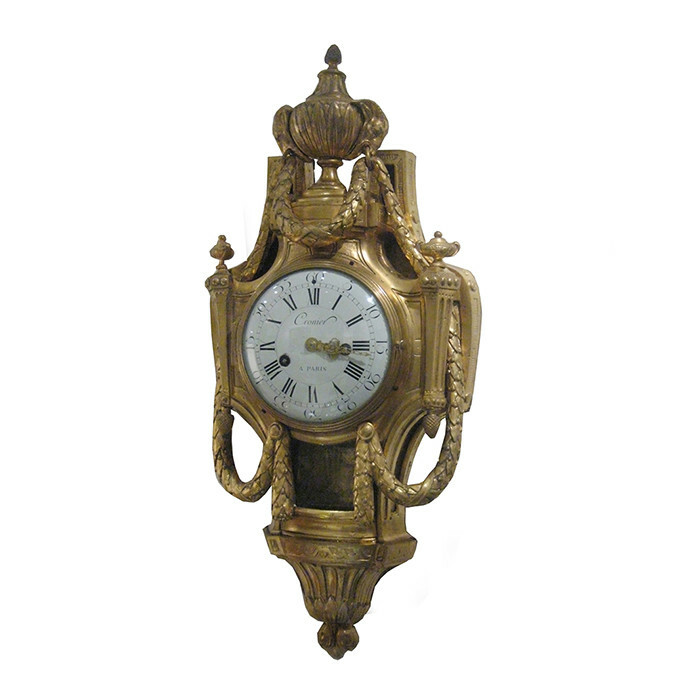 Crafted in fire-gilt bronze with a round convex white enamel face with black Roman numerals for the hours Arabic numerals for the second and a convex glass as cover.The face is signed: Cronier a Paris. The clock is in its original condition. Cronier was the most renowned clock maker of this era.